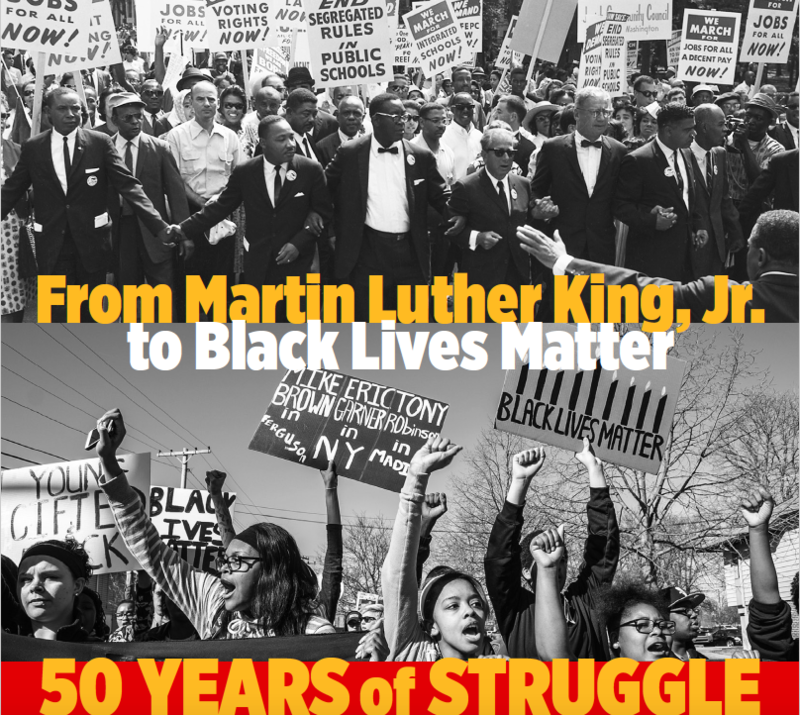 April 4, 2018 marked the 50th year since the assassination of Rev. Dr. Martin Luther, Jr. in Memphis, Tennessee at the Lorraine Motel. The Vanderbilt Divinity School, situated in the deep south with its contingent residue of social inequities, deems this moment a pivotal time to think critically about the issues of racial injustice pervading the last half-century. Dr. King was in Memphis, Tennessee to stand with sanitation workers over the issue of low wages. His work in social and racial justice spanned just a little over a decade from the mid-1950s to his death in 1968. In that short period, King called attention to issues plaguing racial minorities. In his effort to achieve racial justice, King engaged several strategies of resistance including the Montgomery Bus Boycott, The March on Washington and the creation of the southern Christian Leadership Conference. All of these non-violent direct-action efforts were designed to confront and dismantle the very same racial injustices we are currently experiencing. Consequently, the meteoric rise of #Black Lives Matter after the acquittal of his white perpetrator, the murder of the 17-year-old black youth, Trayvon Martin, serves as a stark reminder of the insidious nature of justice in America for racial minorities. King’s death continues to spark interest around the horrific trend in American culture to brutally murder, defile, and destroy black lives. Dr. Menah Pratt-Clarke, a longtime ally and graduate of Vanderbilt University, will keynote the lunch hour with lunch provided to all attendees. The evening will conclude with a keynote address by Patrisse Cullors, one of the founders of the Movement for Black Lives, at Langford Auditorium.